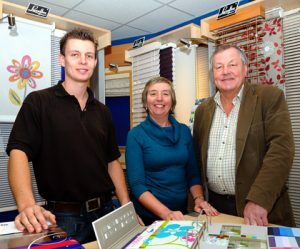 Crescent Blinds is a family run business which makes it much more than just a job to us. We strive to make the process of choosing your window dressing as enjoyable and straight forward as possible. We treat all customers as individuals and listen to your requirements to help you choose the product that’s right for you. Once you have had your blind installed that is not the end as far as we are concerned, we will always be here should you need us. As the vast majority of our work is repeat business or word of mouth we really do believe that not only the product must meet your needs but we must also with the level of customer service you receive from us.